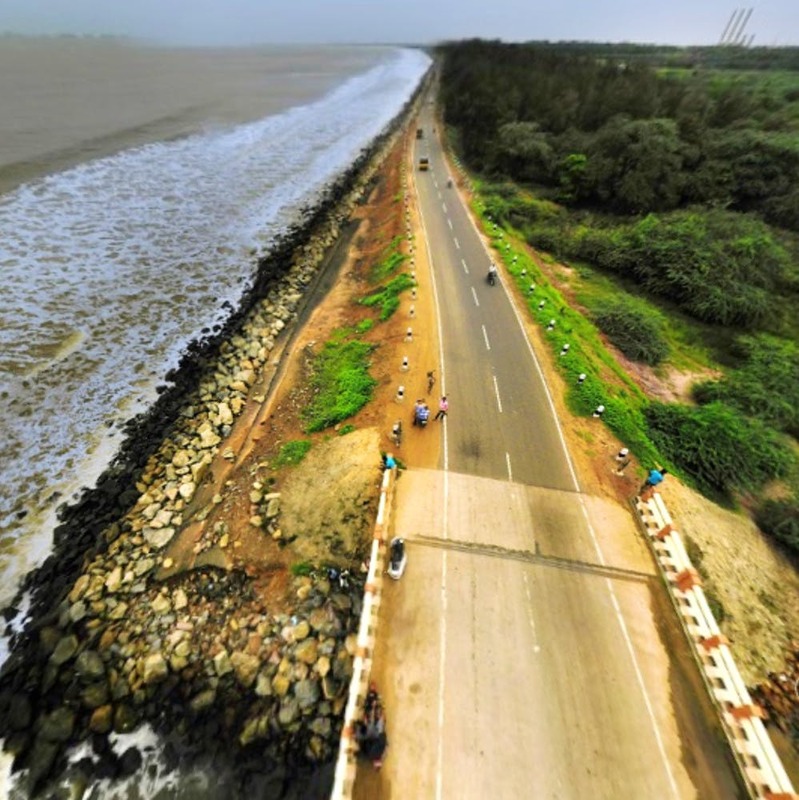 Beaches, sanctuary, and lots of good food — a trip to Kakinada binds you in diverse experiences. Wondering where to start and what to do? Just follow us to these places in Kakinada and make your trip awesome. It is a crime if you don't start your trip with kaaja — a sweet that found its origin in Kakinada. Walk up to any sweet shop in Kakinada to sample Madatha Kaaja or Gottam Kaaja (both the variants are crisp fried and dunked in juicy sugary syrup, but in Gottam Kaaja, the syrup is inside). But we recommend Kotaiah's Sweets, which is an iconic 128-year-old sweet shop. Wide shore, glistening silver sand, clear water — Uppada Beach in Kakinada is arguably one of the most well-maintained beaches of Andhra Pradesh. While the coastline of the Bay of Bengal is known for its sunrises, we recommend grabbing a seat on one of the rocks on the shore and watch the sunset. Plus, you can snack on the fried seafood that is sold by several vendors on the beach. If you've got a thing for fishing, you can have a chat with the fishermen and join too. Go wildlife spotting and woodland wandering at Coringa Wildlife Sanctuary, which is also home to the second biggest mangrove forest of India. Say hello to seagulls, pelicans, herons, saltwater crocodiles, otters, jackals, and migratory birds (Bird photographers, are you listening?). And the best part? You can also go boating and fishing in the waters of the Godavari river, and visit Hope Island, later. No trip to Kakinada is ever complete without eating at Subbayya Gari Hotel — a 63-year-old iconic hotel. Eating a meal here is a wonderful experience as we are served more than 20 varieties including their specialty podi (coconut/curry leaf or any spicy powder that is mixed with rice, ghee, and eaten), Kakinada Kaja. But if you're going for a takeaway, the food is packed in a butta or basket. Yup, you heard that right. Hot rice is first stacked at the bottom and covered with banana leaves, and then, curries are packed in banana leaves. Along with these, the dessert, chutney, dal, sambar, and curd are packed too. It is quite literally a temple run saga when you are in Kakinada as it is surrounded by the most iconic temples in Andhra Pradesh. With Pithapuram (also known as Dakshina Kasi) on one side and Draksharamam (one of Pancharama Kshetra or five powerful temples of Lord Siva) on the other, you can get your spiritual mojo on. Want more? Check out Someswara Swamy Temple (a 13th-century temple) or get to Annavaram — another temple town just 50 km away. Adurru is a picturesque village which is said to be a 2,400-year-old Buddhist site. Located on the banks of Vainetaya River, you won't stop 'gramming every nook and corner of the village as it's filled with paddy fields and farms. At the Buddhist site, you will spot the remnants of the stupas, chaityas, and viharas. While you cannot do much at the site, we recommend exploring the village by foot to check out the beautiful houses and streets flanked by towering coconut trees.